Information about playing at Maidenhead and Bray Cricket Club. The Club runs four teams on a Saturday in the Morrant Thames Valley League and one friendly side on a Sunday. In 2017, we also fielded a Saturday 5th XI on several occasions and look to build on this in 2018 and beyond. The First XI play in the Morrant Thames Valley Division 2, the Second XI in Division 5, the Third XI in Division 7 and the Fourth XI in Division 9. The club also has a Ladies XI setup in 2016 who play in the Thames Valley League. Practice takes place on Thursday evening during the season starting at 7pm. Please contact Chairman, Sharni Samra: mbcc-seniors@mandbcc.co.uk. Maidenhead & Bray C.C. 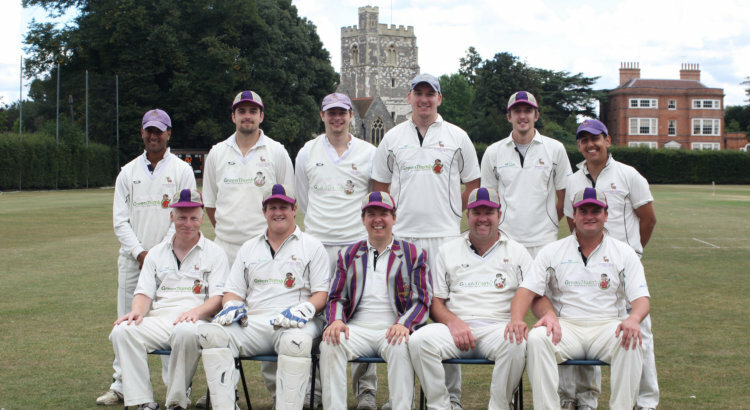 has won the Thames Valley Cricket Club twice and enters in to the Julian Cup, a local T20 competition which the Club won in 2008, following their runners up position in 2007, for the first time in nearly twenty years. Practice takes place for seniors every Wednesday night during the season starting at 6pm, where there are both grass and hard surface options plus the use of our "Bola" bowling machine. There are also Winter nets to keep you eye in during the off season. For the 2018 season the Seniors will be using The Piggott School, Twyford Rd, Wargrave, RG10 8DS and the colts St Pirans School, Maidenhead. Winter nets start at the end of February to the beginning of April, further details will be posted on the website closer to the time. Anyone who would like to play for us is welcome to come along to our pre season nets, or during the playing season, just turn up and say hello. The Club is open every evening from 6pm during the week and all day over the week-end during the cricket season. For further information please contact First XI Captain, Louis Blackwell: mbcc-seniors@mandbcc.co.uk.